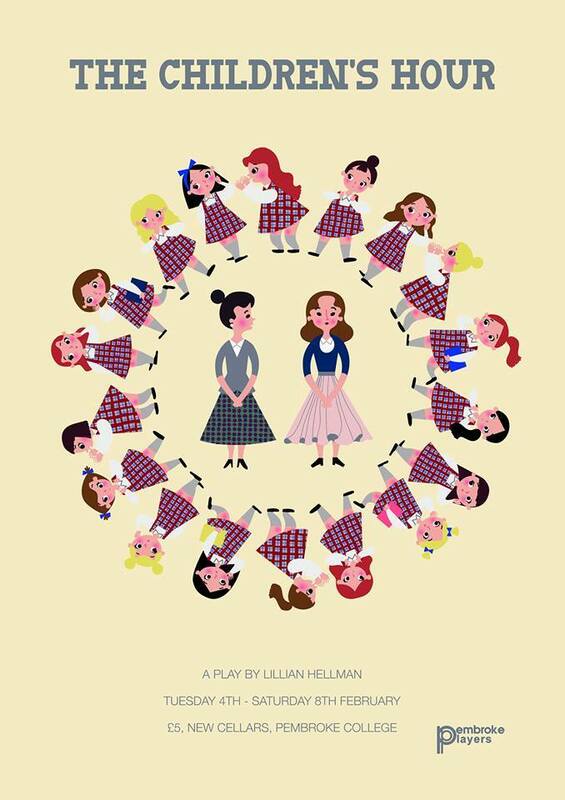 This week in New Cellars, Pembroke Players present ‘The Children’s Hour’ by Lillian Hellman. 4 – 8 February. 7pm. £5. Manipulation. Lies. Power. This is the Children’s Hour, where a brief moment can entangle you in a web of deceit and shame. When a troubled teenager starts to spin a web of deceit, all around her are soon caught up in it. Karen Wright and Martha Dobie have worked for years to establish their all-girls boarding school, and now, with the school flourishing and Karen on the verge of marriage, their lives and loves finally appear secure. However, when malicious student Mary runs away from the school and seeks to avoid being sent back, she draws on hearsay, gossip, and her own imagination, to concoct a story that threatens the school, the marriage, and their entire futures, triggering a chain of events with devastating consequences. Written by acclaimed and controversial playwright Lillian Hellman, this 1934 play ‘The Children’s Hour’ still continues to shock and provoke.